Lately I've been trying to arrange my schedule to have Saturdays and the occasional Sunday off. When your friends all work 9-5, Monday through Friday and you work weekends you find yourself missing out on fun things, most notably, brunch. I had most of Labor Day weekend off so brunch was obviously at the top of my list of things to do. 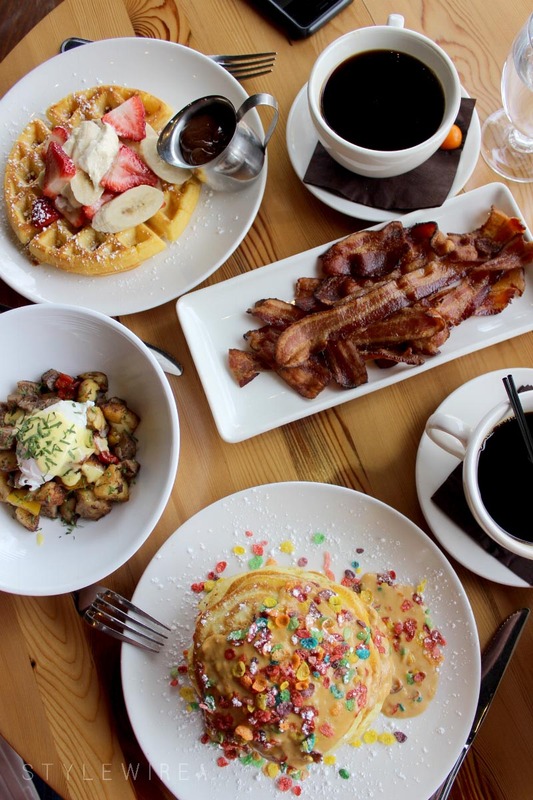 Lincoln South Boston hosted us for brunch and holy heck, it was incredible! I had been to Lincoln once before (also for brunch) but they have seriously upped their game since then. 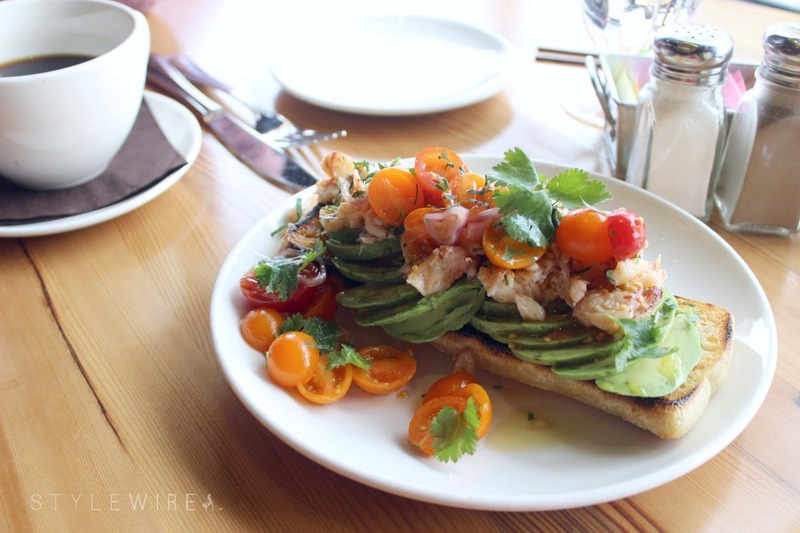 We started with the Crab & Avocado Toast which was light but bursting with flavor thanks to bright, heirloom tomatoes and fresh crab. I was glad we ordered this as our appetizer. When it came time to order there were many things that caught my eye on the breakfast menu (like Thick Sliced French Toast and the Smoked Prime Rib Hash) but I couldn't resist ordering the Fruity Pebble Pancakes while my date selected the Crispy Cornmeal Waffle with strawberries and nutella. My inner child was so thrilled with the Fruity Pebble Pancakes; I can't remember the last time I was so excited about pancakes. Topped with a cereal milk anglaise instead of maple syrup, these non-traditional pancakes stole my heart. I was especially excited when the chef sent over a sampling of the Smoked Prime Rib Hash for us to try. 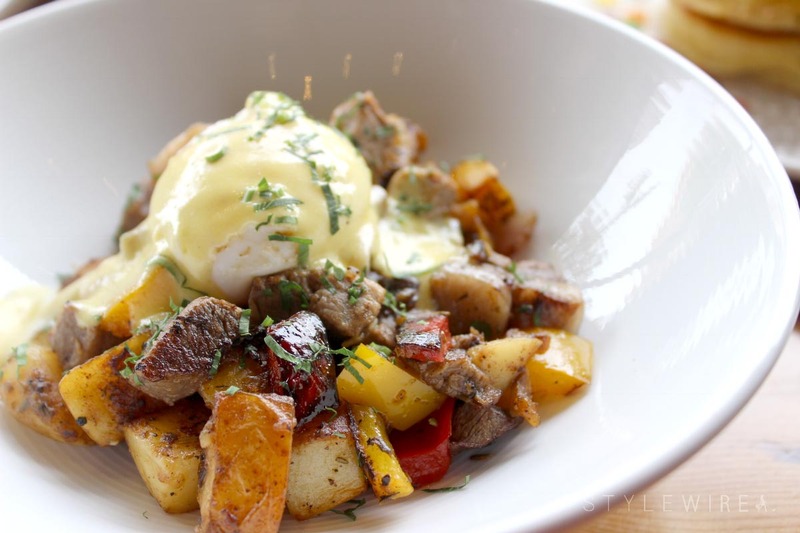 We didn't order the full size, but this is a great menu choice for anyone looking for a savory brunch option and I'm glad we got a taste of it. 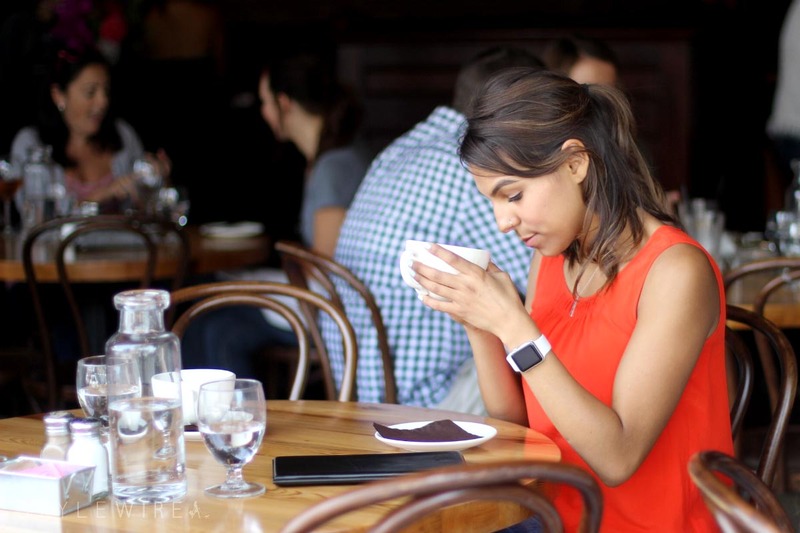 We snagged a great seat in the window and lingered over one last cup of coffee, enjoying the late summer air and Southie people watching. 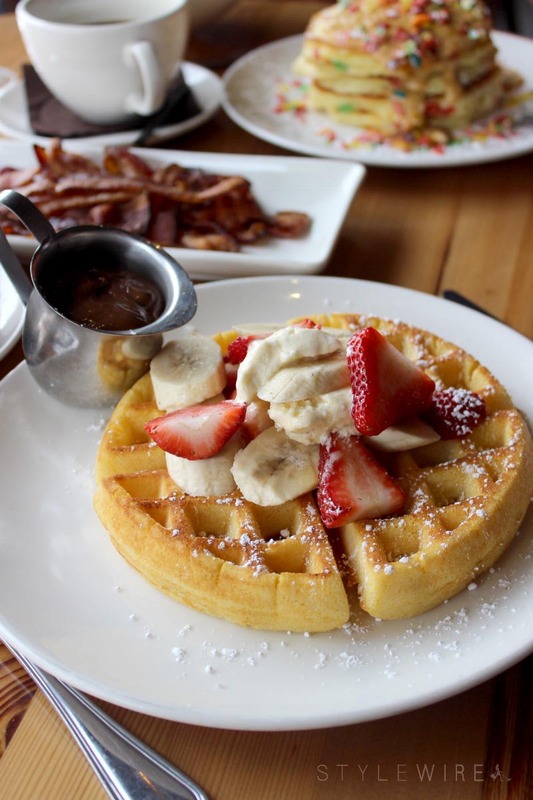 The perfect ending to a Saturday brunch if you ask me! Don't believe me? 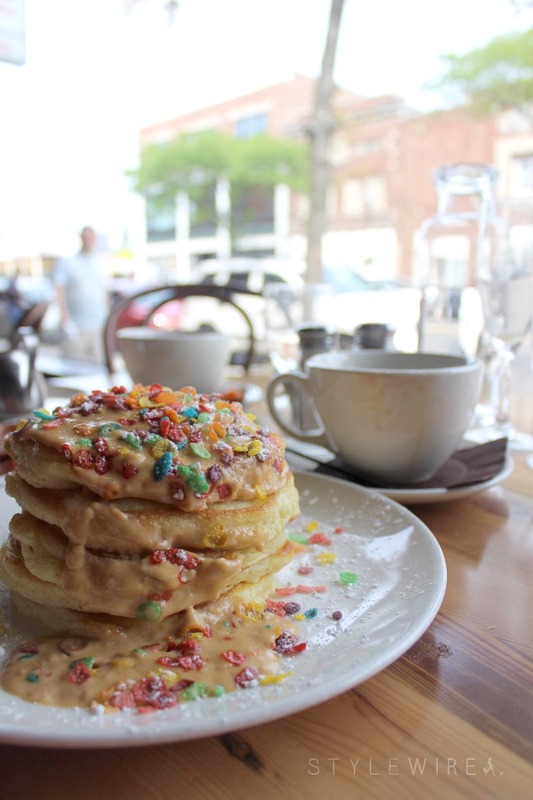 Try those Fruity Pebble pancakes for yourself! I was provided a complimentary meal for promotional and review purposes. All content and opinions expressed are my own. Thanks for supporting those who support Style-Wire.com!